Home › What Will You Miss About Rotterdam? What Will You Miss About Rotterdam? Every year students come and go, either they go back to their home country or move elsewhere to find their dream job. But for the few years that students are in Rotterdam, it becomes their second home and they leave with a lifetime of memories! But what is it that the students will miss the most after moving away from Rotterdam? Let’s find out from students (exchange and graduating) finishing their studies at Erasmus University Rotterdam. Alexander Manning:International Bachelor of Communication and Media (IBCoM) (exchange): It’s mixed feelings to go back home. I am really sad to leave my good life behind, but it’s also nice to be home with friends, family and the beach! I will miss the close friends I have made from all corners of the world. The city itself, it has fun nightlife and cheap alcohol compared to Australia. The university gave me a strong sense of community; there are so many activities that I don’t have back home. And lastly I will miss being able to catch cheap flight on the weekends to travel to a different country. Victoria Sharipova: International Bachelor of Business Administration (IBA) (graduate): “I’d miss the town itself because I like how some parts give like a traditional Dutch vibe whilst others are more modern and spacious with skyscrapers and stuff. Also there is a lot of space, if that makes sense. Because in my opinion, other Dutch cities are more chaotic with those narrow winding streets and Rotterdam is more structured I guess. While you’re still here, make sure to make the most of your time, explore the city and make forever memories. 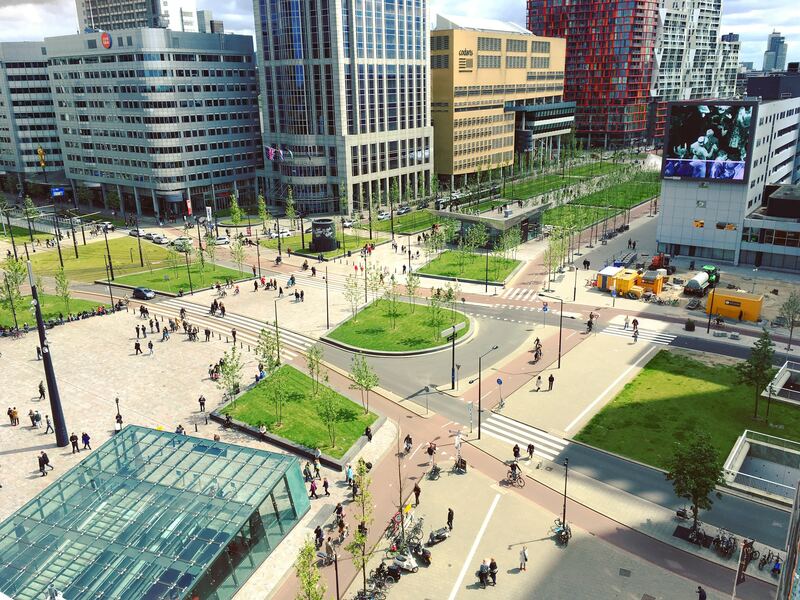 What will you miss about Rotterdam?